C&O Houston is proud to announce that we are a full-line authorized Melfred Borzall dealer. Since 1946, HDD contractors have trusted Melfred Borzall tools for versatile selection, dependable quality and outstanding value. After more than half a century of ongoing development and innovation, Melfred Borzall's HDD tools continue to lead the industry with quality construction, productive designs and value pricing. 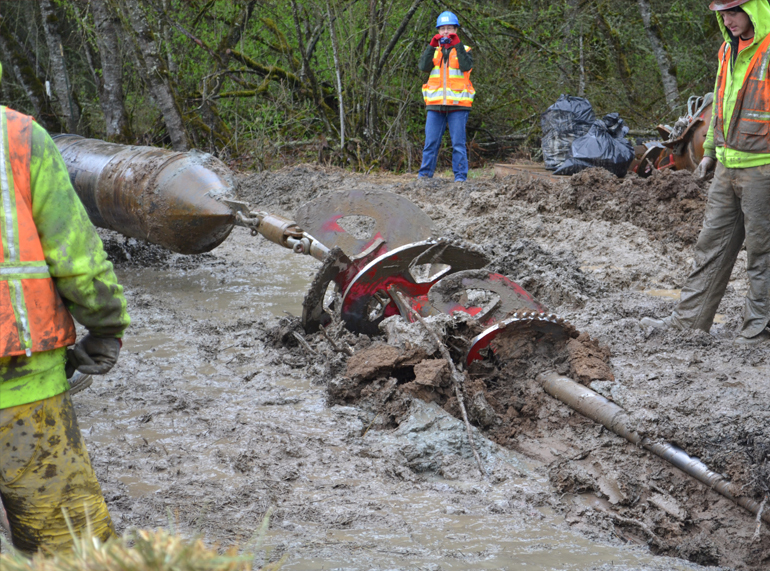 A small, mud-filled pit is the last place you want to remove the drill head and install a reamer. And now you don't have to with the FastBack family of pullback devices from Melfred Borzall. 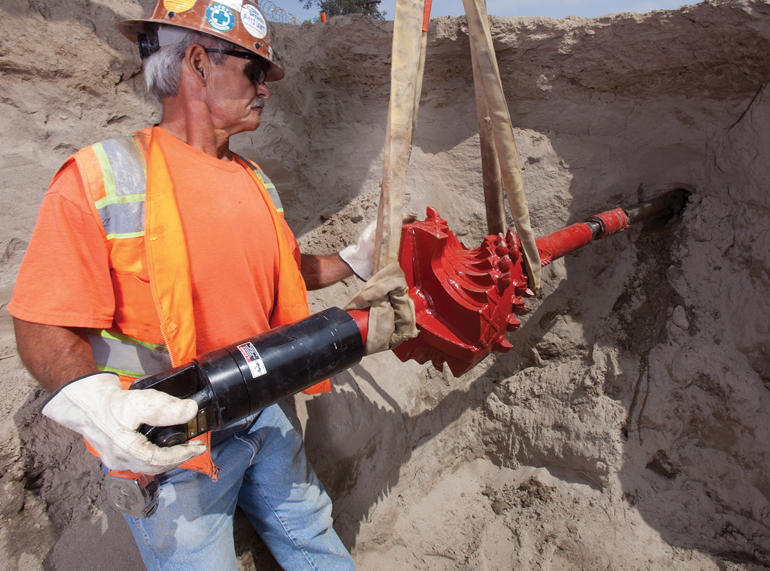 FastBack devices allow you to pull back product without ever taking off the drill head, so within minutes of completing the pilot bore you'll already be pulling pipes back. Fast and easy underground production that puts you ahead of the curve. . . that's the Borzall Edge. > If you're going to pull back with your transmitter housing, you better have a tool designed with this in mind. The FastReam housing has an abundance of carbide hardfacing to increase tool life. The housing door is a thick slab of heat-treated steel for minimal flex and maximum longevity. > This extra thick, locking lid is designed to keep your transmitter safe and secure. > Replaceable thread adapters enable you to use housing with a variety of rigs. Dual Mud-Boost ports on all FastReam housing adapters. > Robotically applied carbide hardfacing in all the right places keeps the FastReam housing drilling and drilling and drilling.